Following last year’s critical acclaimed debut EP It’s Your Love, which saw him being championed by the likes of Clash Music, The Line Of Best Fit, SoulBounce, Impose Magazine, SingersRoom, and Sofar Sounds, British Soul singer, songwriter and musician NIA EKANEM is back with his first offering of 2018, in the exquisite new single titled ‘FADIN’, premiered by EARMILK, and taken from his forthcoming sophomore EP of the same name. Produced by Lloyd Hinshelwood, who has previously worked with the likes of Mabel, Andreya Triana, and M.O, and co-written by Ekanem and Alba (Robin Hannibal, Joel Compass, Linguistics), ‘FADIN’ is a rich and expansive bass guitar and piano-led soul record, which kicks off with a sparse slow-building opening, before exploding into a resounding musical affair that has Ekanem addressing a toxic relationship, and the feeling of loving someone that doesn’t love you the same way. Held together by a glorious combination of raspy soulful tones, electrifying acoustic sensibilities, captivating storytelling, and enchanting vocals, Nia Ekanem describes his music as ‘New Soul’ – his own unique blend of British Soul, which has seen him garner support from BBC 1Xtra, BBC Introducing, ThisIsRnB, Reprezent Radio and Unsigned Music Awards, among others, adding to the growing list of tastemakers, the London native counts as fans. 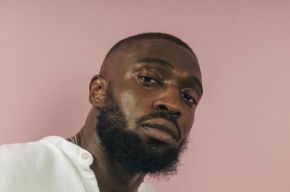 Speaking about the inspiration behind ‘FADIN’, Nia Ekanem says, “the song was inspired by a conversation with Lloyd (producer) & Alba (songwriter), about our past relationships, sharing our experiences and the different emotions it brings out of you. We wanted to be as transparent and honest as possible on this song, with me not being afraid to show emotions and say how I feel. It helped that Alba was involved in writing the song, because she was able to really get that out of me”.